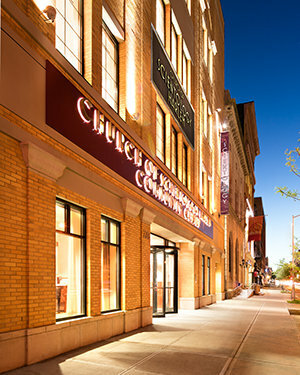 OUR DOORS ARE OPEN TO ALL FAITHS The Church of Scientology Harlem Community Center welcomes people of all faiths, whether attending community-wide events, learning about or participating in the Center’s many programs and services, or simply stopping by for a visit. FOR THE COMMUNITY The Center’s Chapel provides a meeting ground for the entire community. 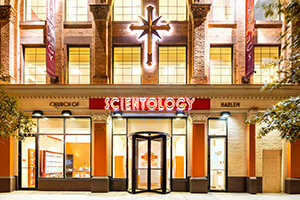 It is a venue dedicated to Scientology Founder L. Ron Hubbard’s vision of all denominations working together to achieve the common dream of all religions. THE CAFÉ The Café welcomes visitors attending community events or those on break from the Center’s services. FOR THE BENEFIT OF THE NEIGHBORHOOD The Center includes facilities for religious and community leaders to meet and collaborate in formulating and activating community initiatives. The Center further houses seminar facilities for a full range of civic programs and conference spaces presenting opportunities for cooperation between like-minded groups in the name of community partnership. The building is dedicated in the continuing tradition of serving our community, and working side by side with groups of all denominations on an array of civic programs and humanitarian initiatives to strengthen and unite the community.